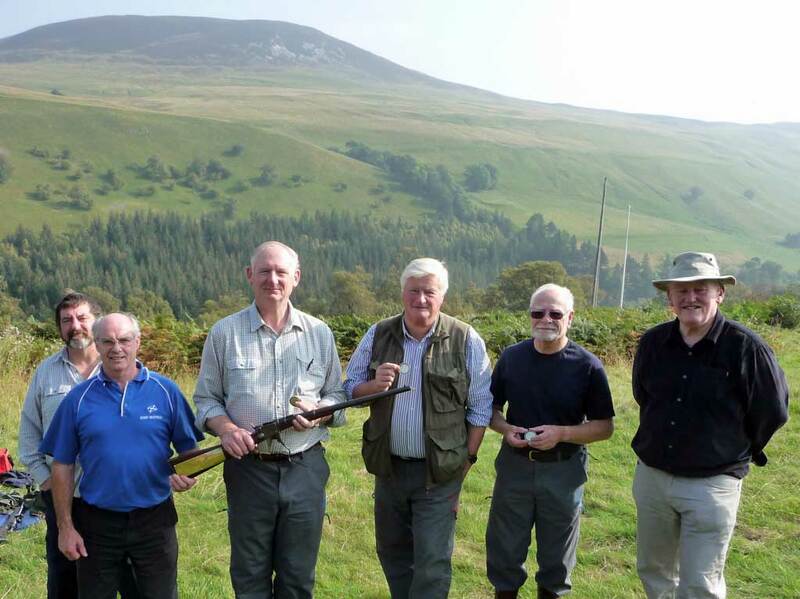 The Lochboisdale Match took place 21st September 2014 at Atholl, weather was bright and sunny with a light fishtailing wind. Numbers were disappointing with only 12 competitors. West Atholl won the Match ten points clear of the West of Scotland Team. Highest scorers were Tim Kidner in the winning team with 75v8v and Walter Buchanan in the West of Scotland team with 75v11v. Next years Match will be 2+15 at 500 & 600 yards, hopefully this will encourage more members to attend the shoot. Thirteen people turned out for the main Club event of the year. The day was dull and cold compared with the previous day at the East of Scotland Open where it was almost too hot, but stayed dry apart from a few minutes of drizzle as we finished. Many thanks to all who helped set up, change targets and close down; and to John Potter for volunteering to be duty member despite being unable to shoot, and for running the day so smoothly. 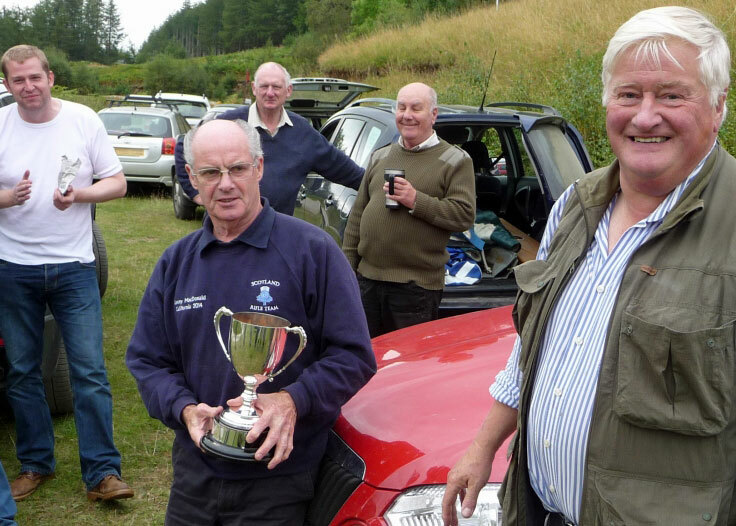 Commiserations to John MacRae whose trigger failed after a few shots on Saturday and again on Sunday: a round trip from Tain, two nights' accommodation etc and nothing to show for it. Kenny MacDonald was the clear and deserving winner with not a point off (and 38 ex 45 Vs), having lost only two points ex 330 the previous day. Pat MacLaughlin took the F/TR trophy by one point. Pat McLaughin F/TR Winner with 220.35v and a V on the wrong target! 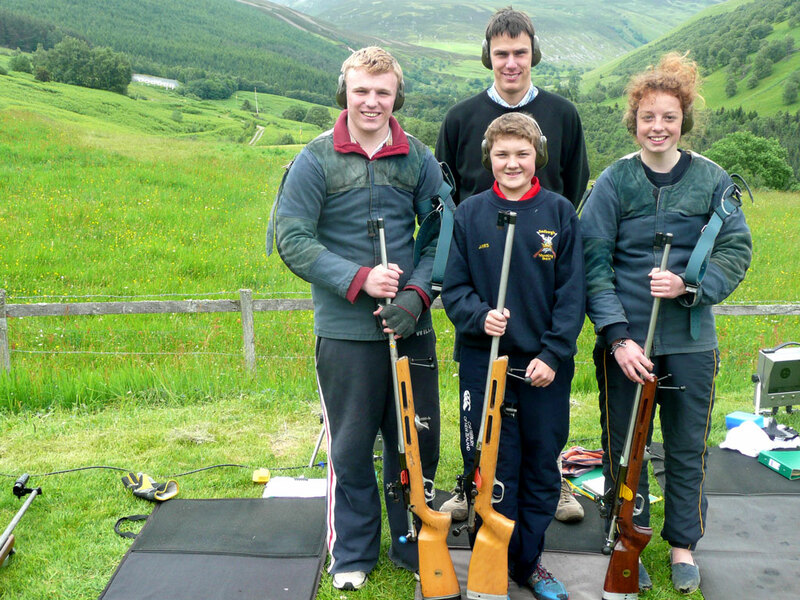 On Saturday our day was brightened by a trio of enthusiastic, cheerful and well-mannered pupils from Sedbergh School with shooting master David Nuthall. After a four and a half hour drive they had pitched camp at 10-30 on Friday night and by 08-30 on Saturday with tents down, breakfast cooked and eaten they were ready for the Montrose at 900yds. I may be corrected, but I believe this is the first time we have had formal representation from a school south of the border since the range opened 37 years ago. They will be welcome to return at any time: as well as their enthusiasm and competence they (helped by Peter Glen) lowered the average age of TR shooters present from about 65 to nearer 40. Well done folks! 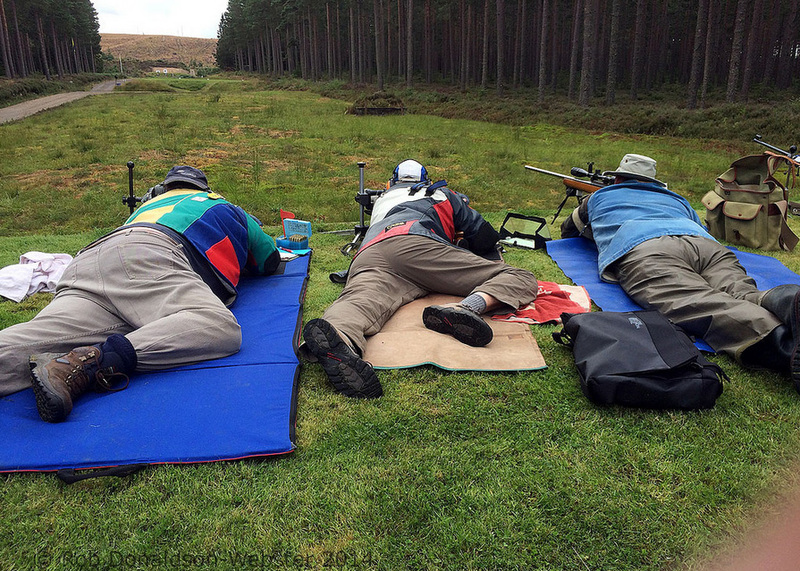 Members may be interested that Peter Hunt has taken over the business of Perthshire Target Shooting Supplies and is now able to supply reloading components etc to shooters. Further details are on the PTS website at http://www.ptssuppliesltd.com/. 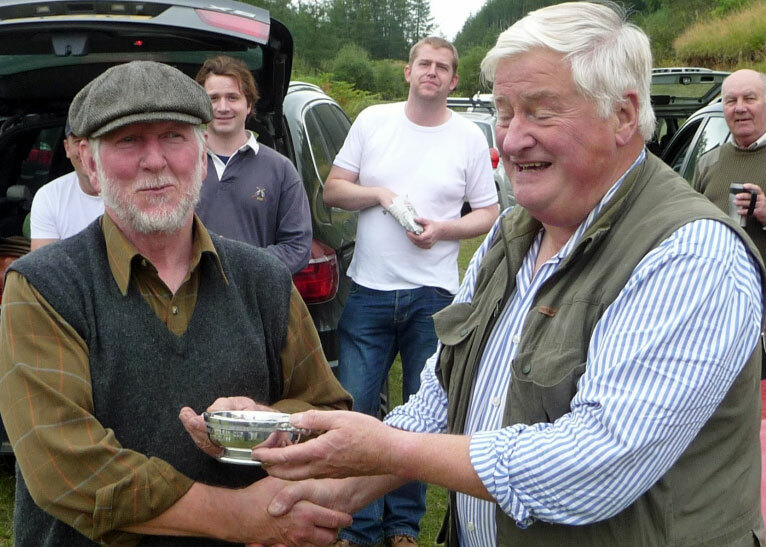 We wish Peter Burbridge a happy second (or is it third) retirement and thank-him for his efforts in supplying Scottish shooters over the last decade or so. Sixteen members turned up on a very nice day (once the snow shower had passed) to return the targets from their winter storage to the frames. Once the problem of a mix up between target numbers 3 and 6 was corrected we had five operational targets working to keep us amused with testing sights. Further work is needed to sort target 6. Thanks to those involved: John Potter, Hugh Inglis, James Bell, Bill Kilmartin, Peter & Dan Burbridge, Simon & Peter Glen, Wendy & Sean Thomas, Jim McCall, Adam MacPherson, John Macdonald, Mark Guest, and Kevin Nangle. Though the closing date has passed according to the front page of the Telegraph, the petition is still live and the votes will count. One change being: The requirement for one referee to be a club member and the other a non-shooter has been removed.